This parlor has a smaller, more comfortable body size than the traditional parlor profile while offering more ease of playability and surprising volume. It features an attractive celtic rosette and signature moon phase fretmarkers. 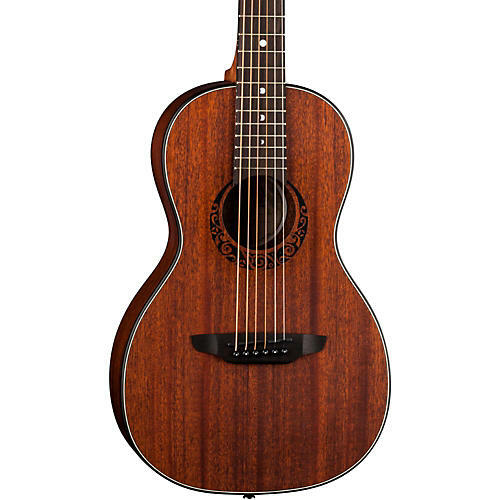 The mahogany construction adds full tonal punch and overall volume output which increases the dynamic capability of this very affordable and handsome Gypsy acoustic guitar from Luna.